James Taylor has a song called “The Secret of Life.” The song says that the secret has something to do with enjoying the passage of time. The problem is, the passage of time brings about a lot of things we don’t enjoy - sickness, suffering, aging, death. Jesus might have written a different song. His song might have been called “The Secret IS Life.” This month, the Imprints curriculum will focus on stories of bringing the dead back to life. 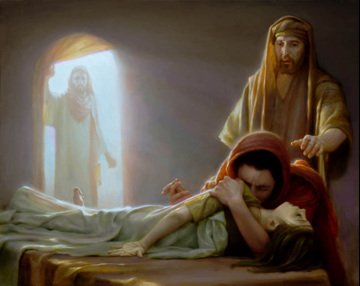 When Jesus performed the miracle of raising a dead girl back to life, he instructed the girl and her parents not to tell anyone about. It was a secret. We sometimes get weighed down by all the suffering and death we encounter in the world. But as Christians, we know the secret, and now we get to tell the world that secret. The secret is life. Jesus came to conquer death and bring life into dead spaces. This is the reading of the poem "Because He Is Risen" by Gerard Kelly that was used as the call to worship. Poem: "Because He Is Risen"
"The Garden of the Church"
The audio file from this service is not available. To view the written manuscript of the sermon, click on the link below.